Brilliant yellow colors from the glowing sun shine across a frozen lake at sunset in the Churchill Wildlife Management Area in Hudson Bay, Manitoba. This is the first time this lake has been frozen during the season as it is prepares for the winter to move in and for some of the wildlife to liven up and take action. 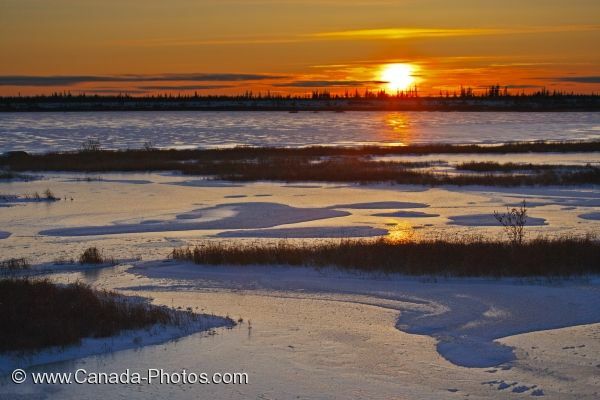 Picture of a frozen lake at sunset as winter takes hold in the Churchill Wildlife Management Area in Churchill, Manitoba.